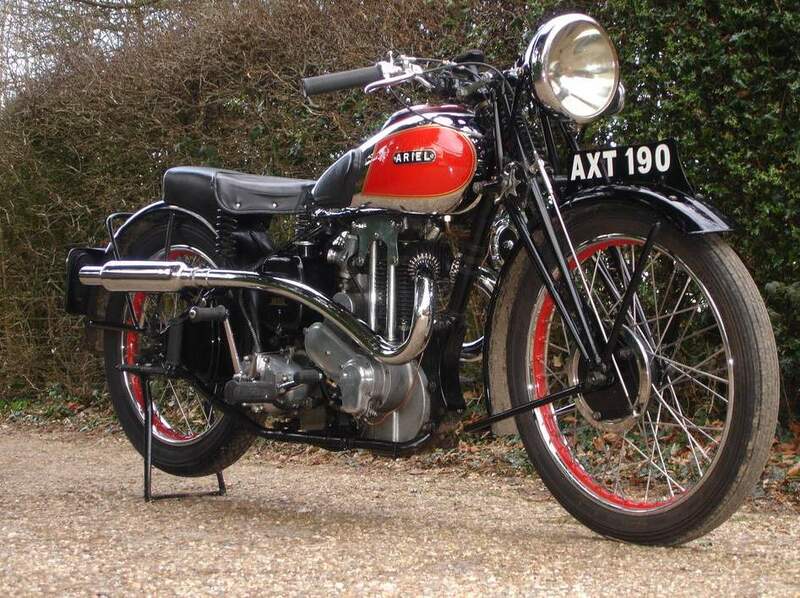 "The finest single-cylinder motorcycle ever built" - "the best ever built single-cylinder motorcycle." So called by Ariel Red Hunter fans. 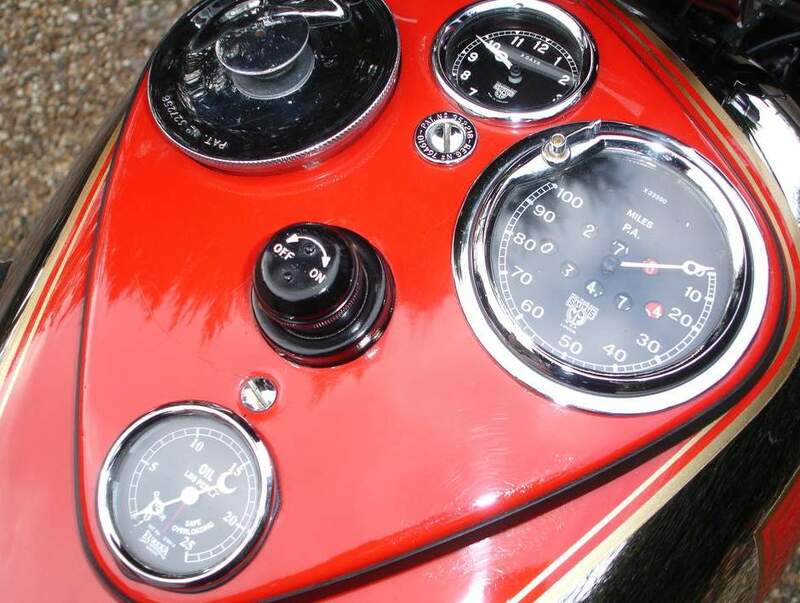 The spiritual father of the "red hunter" was Val Page, the chief designer at Ariel Works Ltd., unveiled its new sports model for the first time 1932 on the London Motor Show before. First bike was called VH 32 and the machine had a 24-hp single-cylinder engine with an almost square stroke ratio of 86.4 x 85. They had four overhead valves, solenoid and racing carburetor as well, new to Ariel, aand a four-speed transmission. Also new was the high-set dual port exhaust system. Because of the striking red paint that Ariel had quickly gone their nickname "Red Hunter", which was soon taken over by the factory. By the following year, Ariel dispensed with the four-valve design in favour of a two-valve set-up with high or laid down exhaust pipes.. And there was now beside the 500 VH the models NH 350 and LH with 250cc displacement. 1935 was the next major change. Edward Turner changed the engine again with extremely long-stroke: 81 x 95 mm. Each engine had to be run according to Ariel test protocol prior to its installation. Output now rose to 26 horsepower with a top speed of 90 miles (about 145 km/h) and with additional tuning rose to 160 km/h! Because Ariel factory did not want to participate in racing, it was up to private riders to set up the machines themselves.